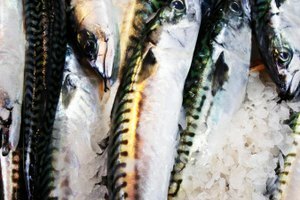 What Types of Fish Will Work as a Substitute for Sea Bass? Sea bass is actually a broad term used for a a variety of white-fleshed fish. 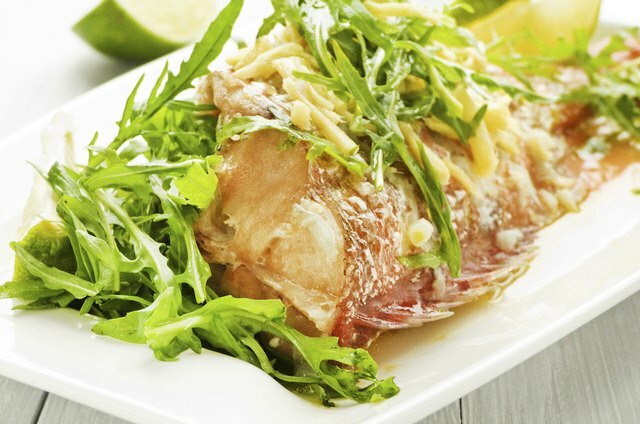 Fish categorized as sea bass have white-flesh, rich flavor and flake easily when cooked. While true sea bass -- black sea bass -- is sustainable, nutrient-dense, inexpensive and easy to find, other fish commonly called sea bass are expensive and cannot be harvested sustainably. 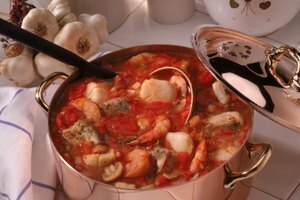 Because "sea bass" is such a broad class of fish, a number of other fish can be easily substituted in many recipes. To find the right substitute consider the following factors: taste, shape, thickness, color, texture and availability. 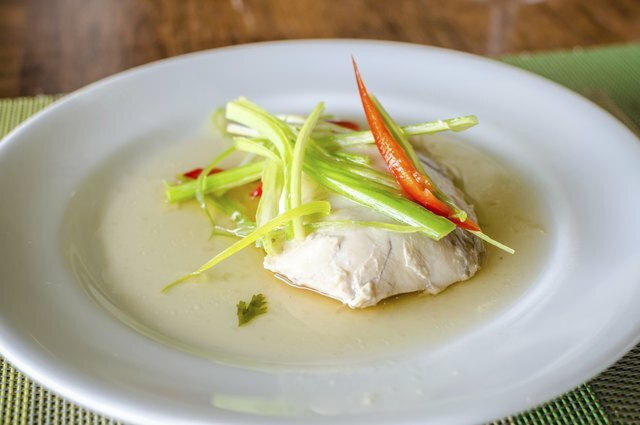 While all sea bass -- true bass or not -- are white fleshed, they vary in terms of how lean or oil-rich they are, which determines how flaky they will be when cooked. Different types of sea bass may be flakier or richer tasting but in general, any white-fleshed fish works well as a substitute for sea bass. True bass, black sea bass live off the Atlantic Coast, in cold water. They are lean, flaky, white fish whose flesh, when fully cooked, breaks into small flakes. 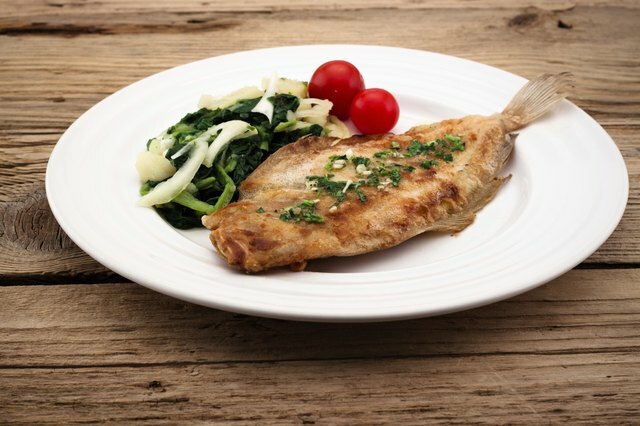 Fish that can be used in place of sea bass include branzino and flounder; the flat fillets also preserve the general shape of black sea-bass fillets. 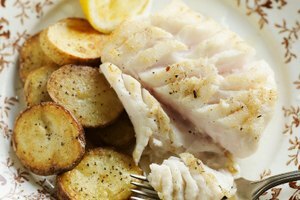 However, tilapia may be the most readily available and affordable substitute for black sea bass. It also has a lean, white flesh that produces small flakes when fully cooked. 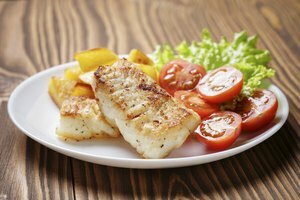 Fish referred to as sea bass on restaurant menus include: Chilean sea bass and blue spotted sea bass. These fish are not true bass. Chilean sea bass, also called Patagonian toothfish, live in the oceans near South America and Antarctica. Blue spotted sea bass is actually grouper. Both types of sea bass are not ocean-friendly fish. 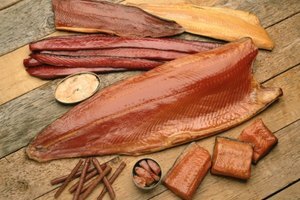 The harvesting and production methods associated with these fish are detrimental to overall environmental health, and they cannot be sustainably fished. 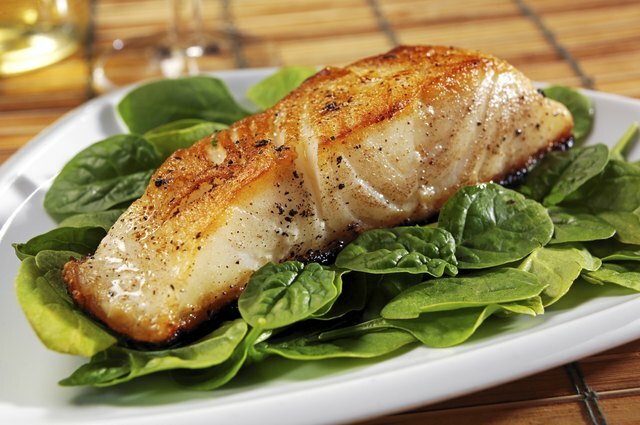 Chilean sea bass can be substituted with sablefish, also known as black cod. 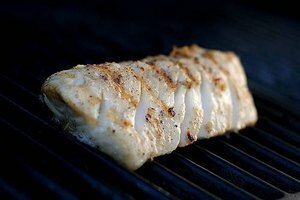 Sablefish, like Chilean sea bass, has the same white flesh that produces large flakes when fully cooked. It also has a firm texture and a rich, buttery taste. Blue spotted bass can be substituted with striped bass, which is a freshwater fish and a true bass. 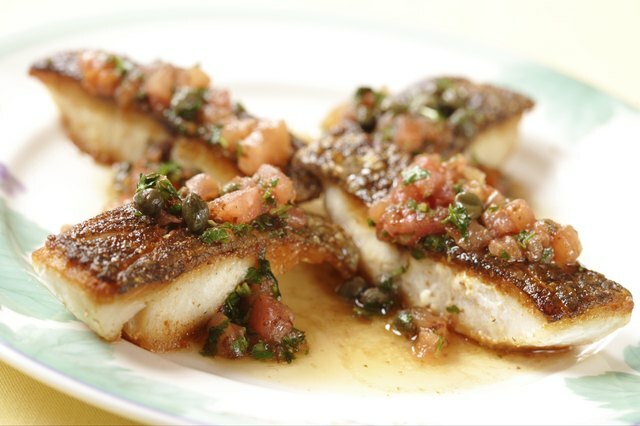 Striped bass produces sweet-tasting flesh similar to grouper, and the fillets are thick and flaky.